Are you looking to purchase an affordable home in the Raleigh or Durham area? 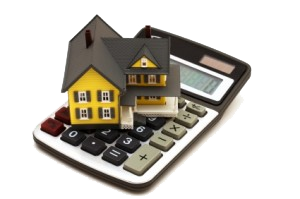 Are you unsure if you can even qualify for a mortgage? This is where WeHab Homes can help! This will give us an idea of the price range that you can afford so that we can get you in one of our homes in Raleigh or Durham that matches what you want or connect with you a licensed agent who can go out and find the best deal on a home that is right for you. It’s that easy! Getting pre-qualified will require that you provide a lender with some basic information on your income, assets, and debt. We can arrange to have this done for you at no cost. This automatically provides you instant savings unlike other realtors which can charge you a fee. We can also help if you have bad credit or if you don’t have the usual down payment amount most realtors and mortgage companies require. We have a large team of professionals that are ready to help you buy an affordable home, build your credit and create your future! Another benefit in getting pre-qualified is that it is an expression of your seriousness in purchasing a home, which may be a deciding factor in a situation of competing offers from other not-yet qualified buyers on your dream home in Raleigh or Durham.